The death occurred, peacefully, on Saturday, November 3 of Anne Farrell (née Casey), Lissakitt, Ballymahon, Longford. Deeply regretted by her loving family, daughter Anne, sons John and Jimmy, brother Johnny, sister-in-law Margaret, daughters-in-law Marie and Frances, son-in-law Martin, grandchildren Seamus, Cait, Michelle, Joe, Mary Kate, Aine, Sinead and Orla, nieces, nephews, relatives, friends and neighbours. Rest in Peace. Funeral Mass on Tuesday, November 6 at 12 noon in the Church of the Sacred Heart Carrickedmond, followed by burial in adjoining cemetery. 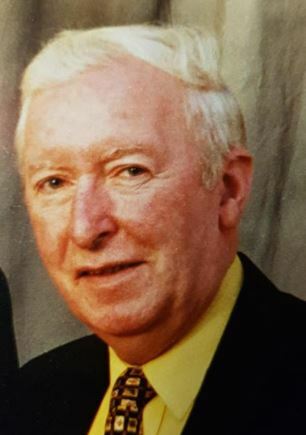 The death occurred on Sunday, November 4 of John Duffy, Cullenstown, Duncormick, Wexford and formerly Currygrane, Ballinalee, Co Longford. Beloved husband of Mary Anne, father of Sean, Claire, Christina, Kathleen and the late Elaine and brother of Kevin, Frank, Vincent, Oliver, Jimmy, Brendan, Sheila and the late Michael, Pat, Joe and Alice. Sadly missed by his loving family daughter-in-law, sons-in-law, grandchildren, great grandchildren, nephews, nieces, extended family and friends. May he rest in peace. Removal from his residence on Tuesday, November 6 at 11.30am to the Church of Mary Immaculate & St Joseph Carrig on Bannow for funeral mass at 12 noon, burial afterwards in the adjoining cemetery. The death occurred, peacefully after a short illness, on Friday, October 26 of Austin McManus, formerly of Derryheelan, Drumlish, Co Longford and London, England. Deeply regretted by his wife June, brothers and sister, brother-in-law, sister-in-law, nephews, nieces, relatives and friends. Rest in peace. Funeral Mass on Tuesday, November 6 at 12 noon in St Mary's Church, Drumlish with burial in local cemetery. The death occurred on Friday, November 2 of Annabel Loughlin, Delvin, Westmeath. Dearly beloved and only daughter of Enda and Eileen Loughlin, devoted sister to brothers Senan and TJ, doting granddaughter to William and Eilish O’Driscoll and Peter and Pat Loughlin. 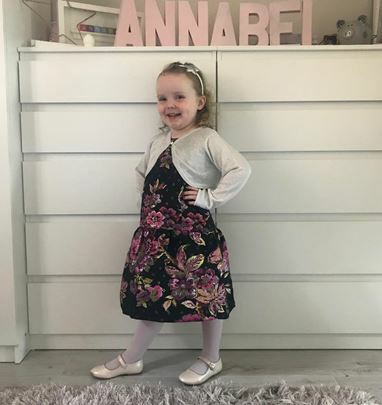 Annabel will be forever missed by all of her loving family, extended family and the entire community of Delvin and Westmeath. May She Rest In Peace. Funeral Mass on Tuesday morning, November 6 in the The Church of The Assumption, Delvin, arriving for 12 noon proceeding thereafter to Taghmon Cemetery Westmeath. All enquiries please to Massey Bros 01-4533333. The death occurred, at Sligo University Hospital, on Saturday, November 3 of Mary McMahon, Drumrowey, Drumkeerin, Co Leitrim and formerly New York. Removal on Tuesday morning, November 6 to St Brigid's Church, Drumkeerin, arriving at 10.50am for Funeral Mass at 11am followed by Cremation in Lakelands Crematorium, Cavan.